a) Unpack this rar in your FIFA 14 main folder. Overwrite files that it asks you to do. Press Y to disable online database. Please read carefully. To play online you need to select EA Update Enabled in MW Selector. If you still get desynchronized then you have to uninstall the mod to play online. Copy files from Game / Backup folder to your Game folder. That way you will restore FIFA. This is not happening to everyone. Some people experience this desynchronization issue while others don´t. It´s not our fault. It´s how the game was built this year. - France home kit collar and number colors. - Database 4.0 and 4.0 Matrix. Problems with transfers of players from new national teams added in World CUp Database. Can't wait to play FIFA 14 with ModdingWay Patch! 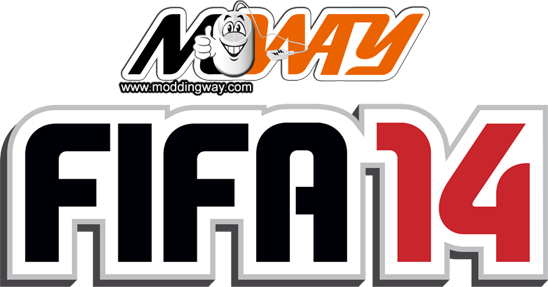 (09-20-2013 12:41 PM)konradstw Wrote: Can't wait to play FIFA 14 with ModdingWay Patch! I would start a career personally, as it will be a while after release of game before the mod properly gets up and running. All content © copyright ModdingWay.